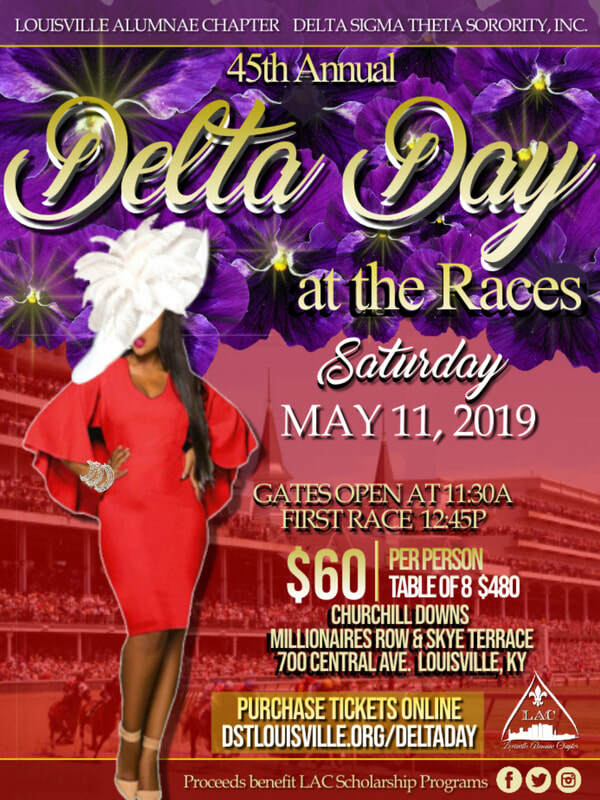 deltaday - Louisville Alumnae Chapter Delta Sigma Theta Sorority, Inc.
*THIS EVENT IS OPEN TO THE PUBLIC* Join us for our 45th Annual Delta Day at the Races held at historic Churchill Downs! Your ticket to this premier event includes admission to Millionaires Row & Skye Terrace, and an all-you-can-eat Chef's Table buffet. Proceeds benefit Louisville Alumnae Scholarship Programs. This event sells out every year and early purchase is strongly encouraged. Single tickets are $60, Couples' tickets are $120, Group of Four tickets are $240, and a table of 8 is $480. A graduated online processing fee will be added to each purchase. 1. Fill out the form below and click submit to register. 2. Click "PAY NOW" to buy tickets.